How do I add new users to my organization or program? 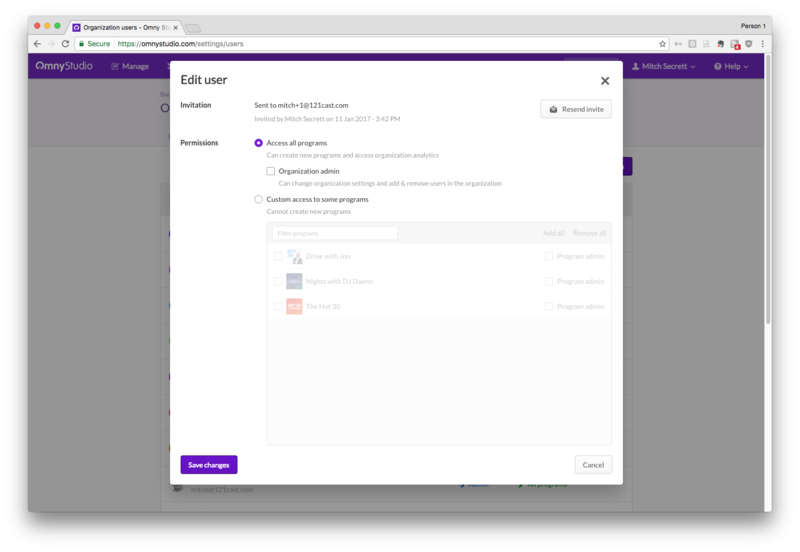 You can add users at an organization or program level - this help article will go through both. 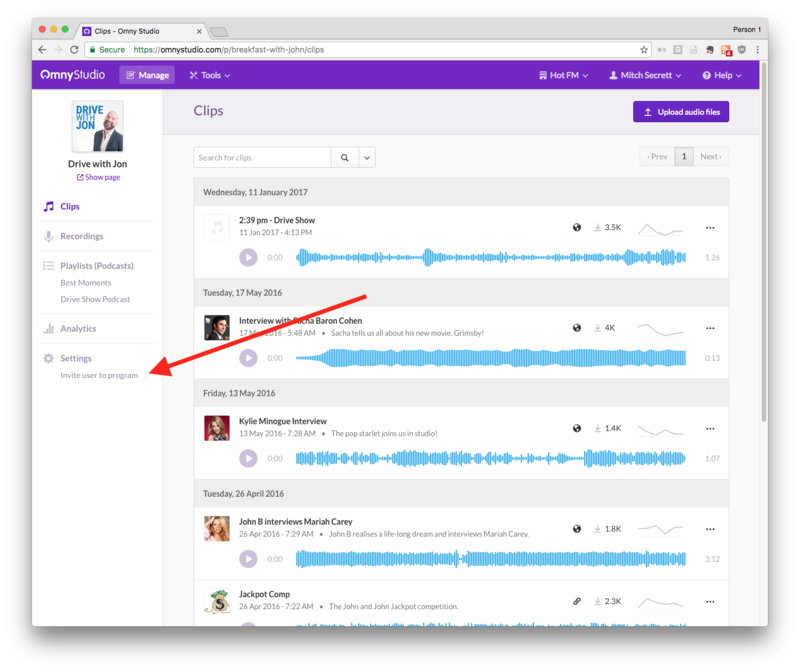 If you are an administrator for an Omny Studio account with multiple programs (a radio station or podcast network for example) this section is for you! 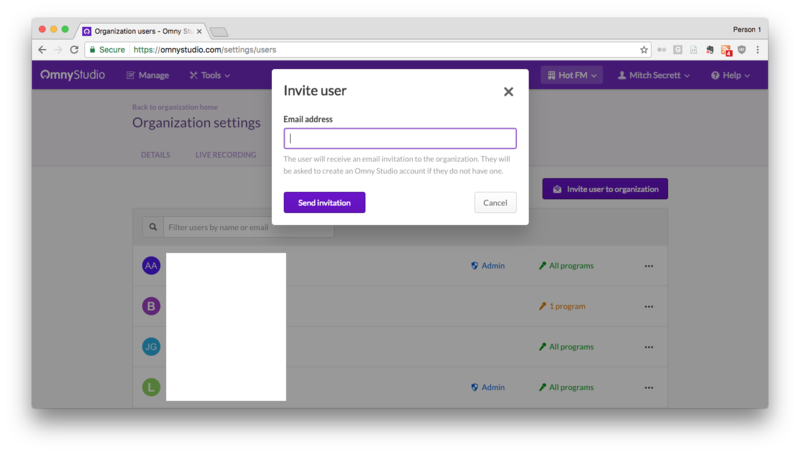 2) Once you're in, click "Invite user to organization"
3) Enter the email address of the person you want to invite and click "send invitation"
4) Select the kind of access you wish to give your invitee! You can give them access to all programs or just one. 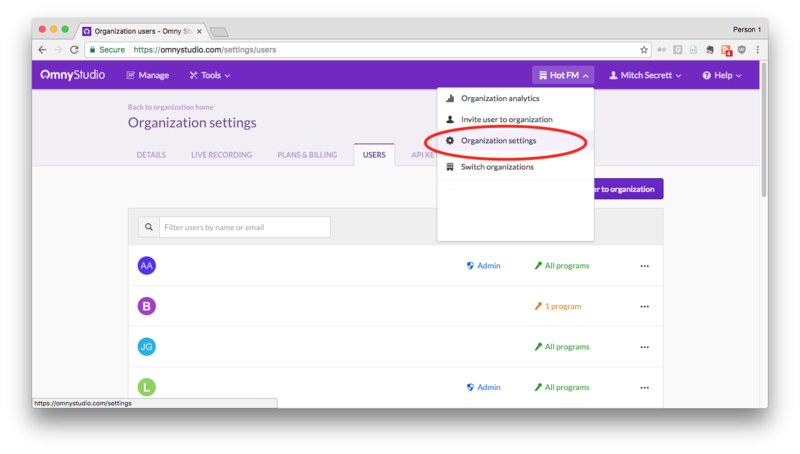 You also have the option to add them as an organization or program admin. If you select this, that will mean that that user will be able to add other users. 5) Repeat from step 1 for every user! If you're a program admin then you will be able to add other users to whichever shows you have admin access to. 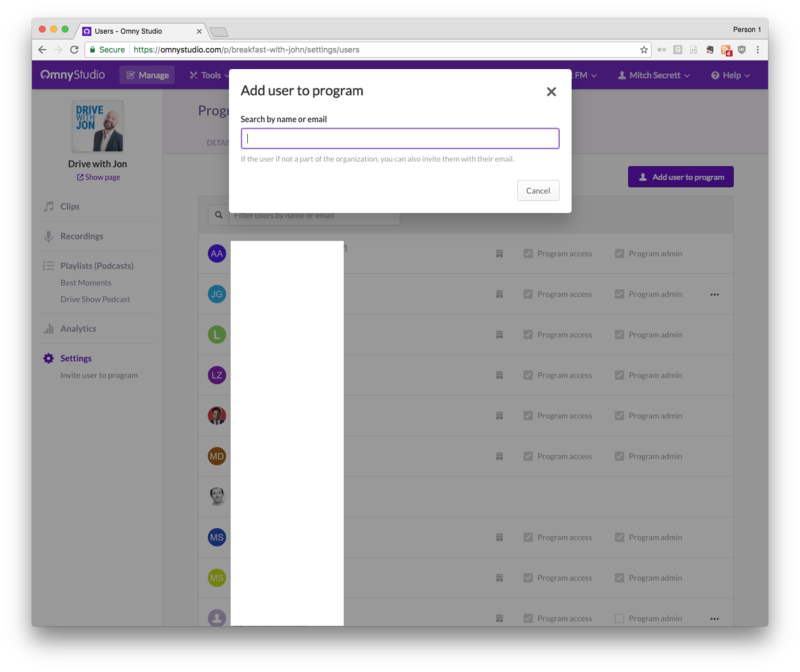 1) If you have administrator privileges, you will see the "Invite user to program" as seen in this screenshot. 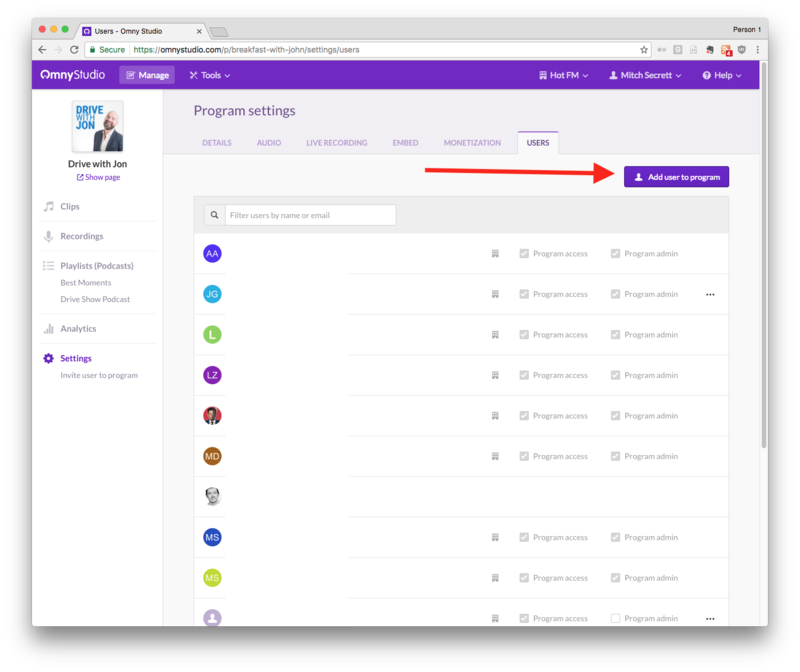 2) You'll be taken to the program settings section. Click "Add user to program". 3) Type in the email address of the person you would like to invite and select whether or not you want them to be an admin. Admin users can invite other people. 4) Repeat from step 1 for every other user!